A beautiful, characteristic sign of Spring and a familiar sight to any of you out there who like to take a dander through the woods at this time of year. 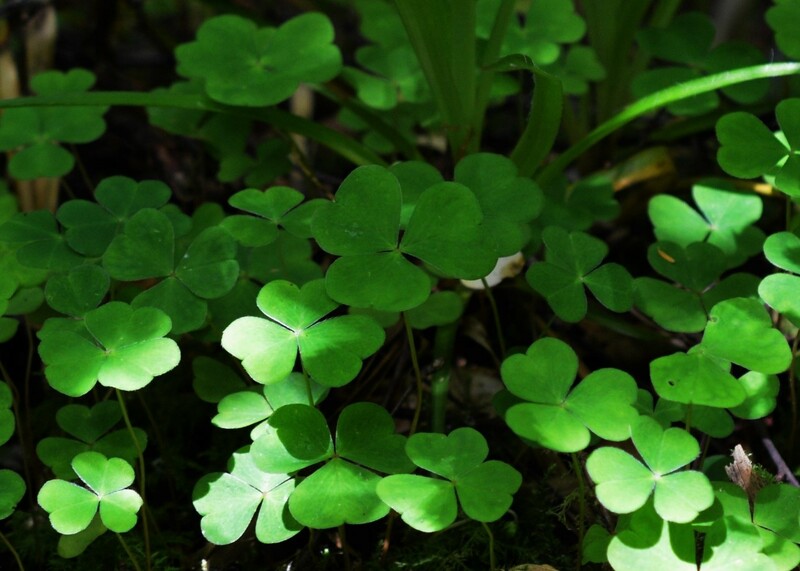 Wood Sorrel (Oxalis acetosella) creeps along the forest floor, creating small clumps or carpets of lush green trifoliate (three leaflets) leaves. 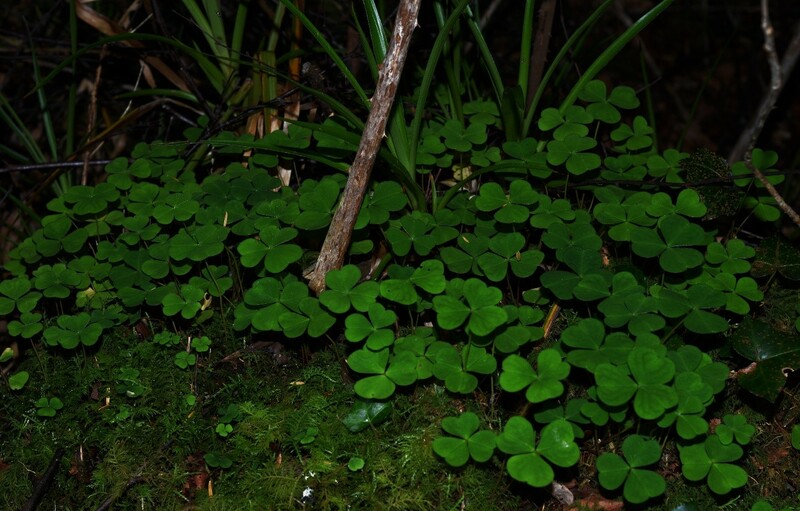 You can often find it growing around the base of moss covered trees also. 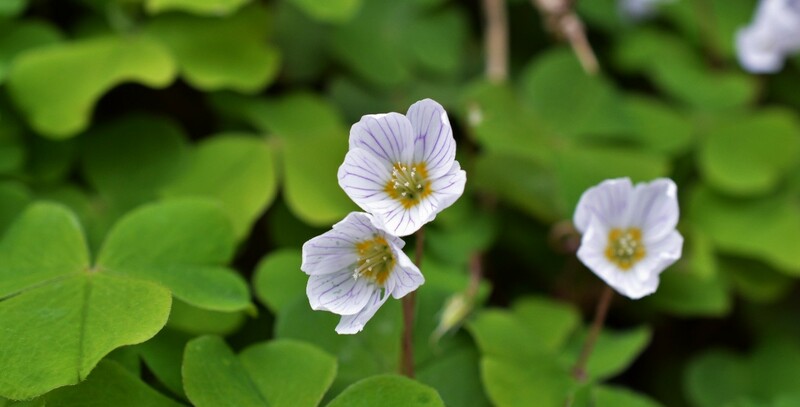 The flowers of the plant are white with purple veins which run the length of the five petals down into a yellow ring near the base of the flower. The flowers are on relatively thin stems and often drooping, which can make it difficult to get a decent photograph of the flower, but once seen, you will never forget it. The leaves as mentioned above are trifoliate, which basically means they have three leaflets. 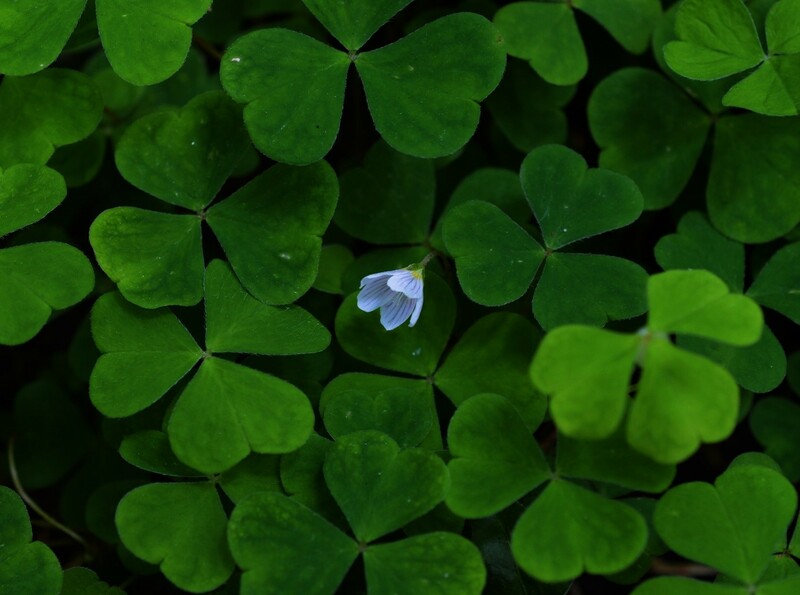 You will probably be most familiar with this from “Shamrocks” or clover leafs. 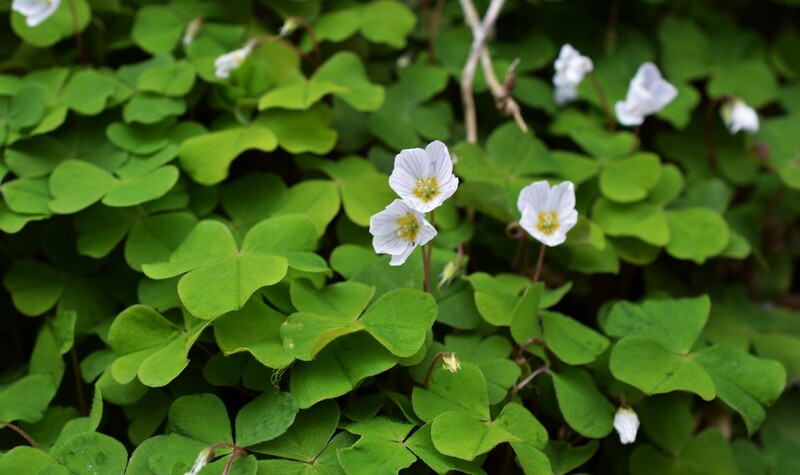 While I don’t usually mention plant edibility in my posts, the leaves of Wood Sorrel do have a distinctive sharp taste (it’s very much like apple skins and on occasions has a similar taste to sour apple sweets). The plant can cause poisoning in large doses, so don’t scoff too much of it! One of the great things about this plant is that the leaves are as distinctive (if not more distinctive) than the flowers, so the species can be identified long after the flowers have gone over. It is currently in flower in woodlands throughout the country, so why not get out there and have a look for this beautiful plant and if you happen to find it, why not put the record into the Spring Flower Project a joint project between the National Biodiversity Data Centre and the Botanical Society of Britain and Ireland (BSBI).